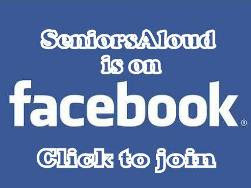 SeniorsAloud: PENSIONS & RETIREMENT FUNDS - A LOOMING CRISIS? PENSIONS & RETIREMENT FUNDS - A LOOMING CRISIS? 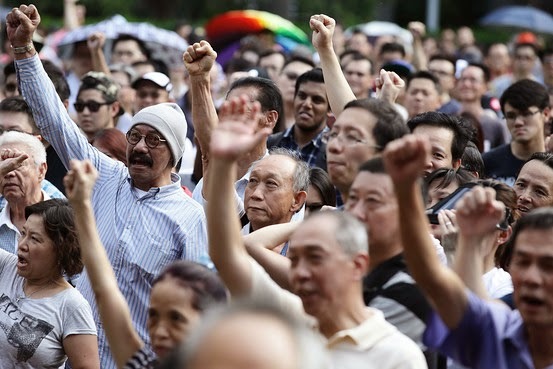 I have just listened to Roy Ngerng's speech delivered at Hong Lim Park, Singapore, on 7 June, 2014. All 46 minutes of it. For those interested, there is a transcript plus a Chinese translation posted on his blog at The Heart Truths. This CPF (Central Provident Fund) minimum sum (MS) issue has become such a hot potato of late. 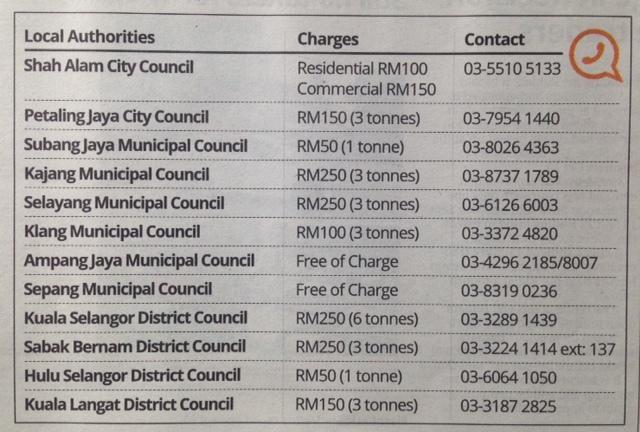 While I can understand where Ngerng is coming from, I can also see why the issue is not that straightforward. 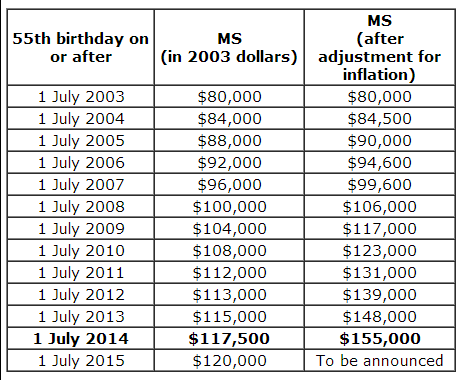 The mandatory minimum CPF contribution has been rising steadily over the years to keep up with inflation. According to figures on the CPF Board website, when a CPF contributor reaches the age of 55, say, by 1 July 2014, he should have the minimum sum of S$155,000 in his CPF. If he doesn't, any property he owns, bought with his CPF savings, will be automatically pledged for up to half of his MS. The Singapore government sees this as making sure Singaporeans have enough in their CPF to support them in their old age. 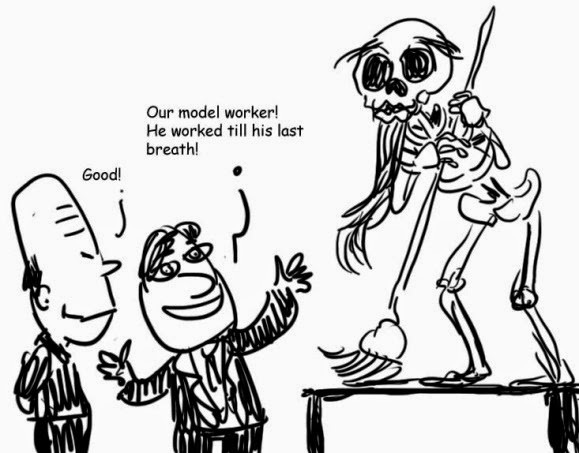 If a contributor is nowhere close to having the MS in his CPF, he will be looking at the real possibility of working for as long as his health permits, perhaps till he drops dead. Many of the elderly in Singapore, the 'pioneer generation', fall outside the CPF scheme. That is why silver-haired cleaners and dishwashers in their 70s and 80s are a common sight in this rich island republic. They have to take whatever jobs are available to survive. 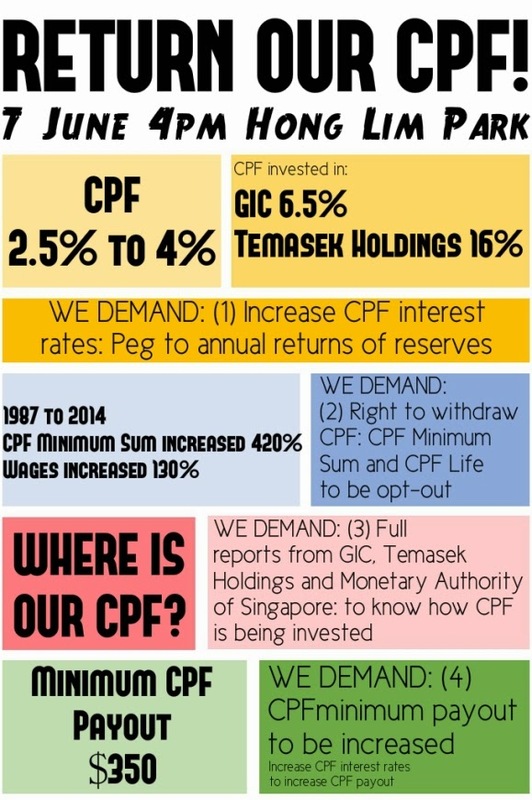 CPF contributors have been earning 2.5% interest on their savings since 1999 (see chart). In Malaysia, the interest EPF (Employees Provident Fund) pays varies depending on how well (or not) their investments have performed. This year, the interest was a relatively high 6.35% (see chart). It is easy to see why Singaporeans are not too happy with the low interest rate of 2.5% on their CPF savings. While Malaysian EPF contributors are delighted with the high interest of 6.35%, it is doubtful whether this can be sustained in the years ahead. Countries the world over are facing problems with underfunded pension schemes and retirement funds. It is a looming retirement crisis that has already led to street protests across Europe, the US and Asia. 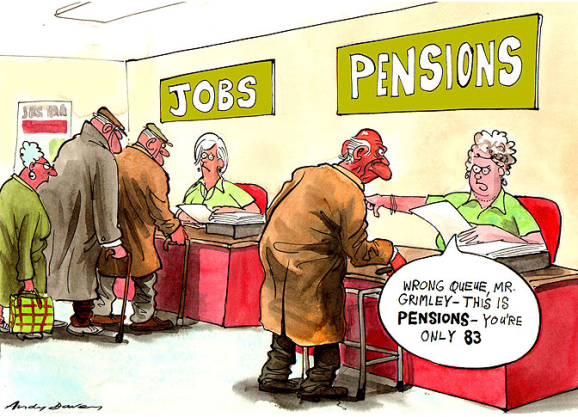 Most governments facing this dilemma have resorted to raising the retirement age. 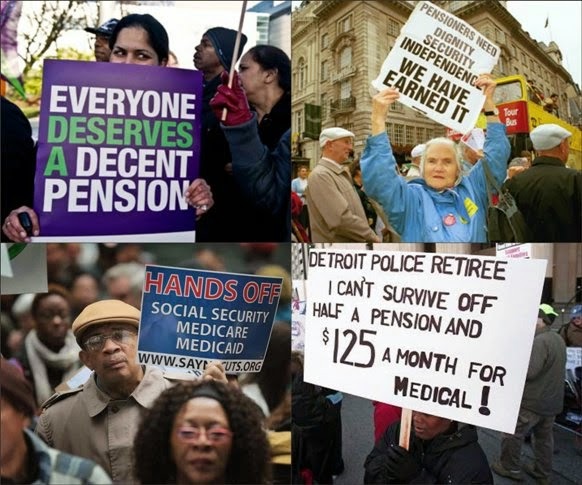 While some have welcomed this stop-gap measure as it allows them to remain employed longer to support themselves, there have been demonstrations worldwide to protest the rise in retirement age. In Singapore, for example, the retirement age has crept up from 55 to 60, 65, 67 and now to a proposed 70. 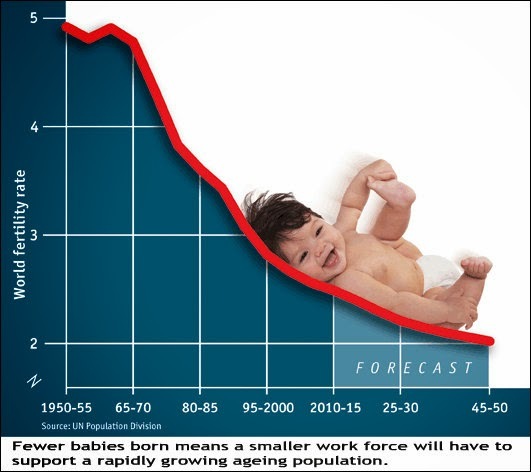 Raising the retirement age lessens the government's burden of providing welfare for a rapidly growing older population. However, CPF contributors are understandably unhappy. They have been waiting to retire and withdraw all their CPF savings. 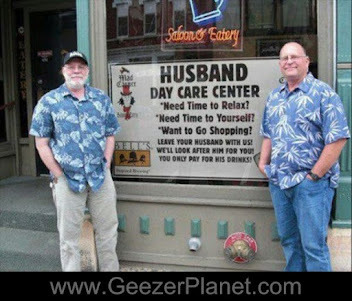 After all, it is their hard-earned money, and they have made plans for what they want to do with the lump sum. A word of caution here. Retirement savings are meant to support you in your old age. It is not intended to help you pay for home renovations, your children's weddings, or holiday trips abroad., unless you have enough set aside for these expenses. Before you know it, all the CPF/EPF money is gone, and you will have no choice but to seek re-employment to support your remaining years. With the silver tsunami set to hit countries across the globe, governments will have to come up with innovative measures to ensure they have enough in their employees provident funds or social security funds to pay out to contributors. A case in point - will the Malaysian government be able to continue forking out massive sums in monthly pensions to retired civil servants? At 1.4 million, it has the largest civil service in the world relative to its population, and it is still hiring in large numbers. The country has a population of 28 million and there are approximately 12 million people in the workforce, but only 1.7 million pay taxes. (The Star). Ponder on that. Ngerng is right in demanding transparency and accountability from the government. Workers want to know how their government is investing their retirement contributions. What are the ROIs? 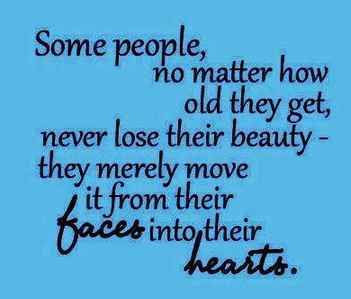 All governments have a moral responsibility to provide for their citizens, especially the elderly. But are they able to? That is the burning question that begs an answer. FAST. Do watch this series of videos below to get a better understanding of why we might have to say Goodbye to Retirement as we know it. LET'S PUT AN END TO ELDER ABUSE! CELEBRATING THE 60S - WHAT A NIGHT IT WAS!